We’re serious about training leaders for the church. That’s why we created the all new Accelerate Program. What if you could earn your Bachelor of Arts and Master’s of Divinity degree in only five years of intense study? How could God use you? Where could you serve? This innovative residential or online program combines rigorous academic study with practical ministry preparation resulting in one of the most effective programs around. 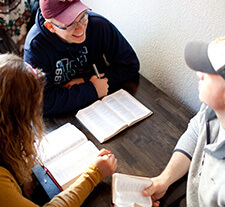 Each accepted student will be placed in a ministry cohort that provides encouragement and strengthens learning. Cohorts spend time with leading ministers and scholars who bring unique insights into ministry for the 21st century and beyond. These cohorts allow students to prepare for lifelong ministry and learning through the strong support of a community of learners – an essential skill for ministry success and longevity. Both the cohorts and the academic classes stress essential competencies that enable each graduate to be a high-capacity leader. Unique learning environments, practicums and courses reinforce leadership ideas that help each student to become a leader ready to make a difference for Christ through the local church and on the mission field. The academic rigor of Accelerate challenges students to develop capacities of self-discipline that are essential for ministry success. Lazy students need not apply! Students are required to maintain a 3.0 while taking 15 credit hour per semester to remain in the program. Accelerate students are top performers who are able to demonstrate balance in life and ministry while striving for excellence. The accountability of the cohorts and the caring community of Midwestern helps build into each student the discipline required to succeed in ministry today and tomorrow. 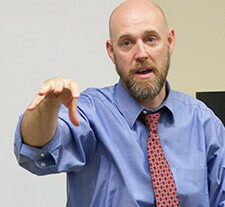 Accelerate engages students in first-hand ministry. Take part in street evangelism. Encourage a church plant. Serve as part of a church revitalization. Through internships and practicums, students move beyond the classroom to take what they are learning into various fields of ministry. Evangelism, missions, preaching, apologetics, planting – it’s all here and Kansas City provides one of the best environments to engage the world around you each week as you learn. What does 5 years, 2 degrees look like?